Despite some gloom and doom talk in various corners of the internet, link building remains a valuable and necessary component of search engine optimization and content creation. If you want to ensure that your website performs admirably in search and has plenty of traffic, then quality link building tactics must be pursued on a consistent basis. Many people know this and therefore rush into the practice with little to no concern over how small mistakes can create structural chaos later down the road. It is essential to focus on the primary elements of link building, no doubt, but other, smaller considerations must also be made. Today, we’ll talk about what you absolutely need to avoid when building a variety of links back to your site. Whether you have been invited to guest post on another site or have been offered a mention for the great piece you wrote about a fellow business or brand, it can seem all too natural to ask people to link back to your home page. After all, this is the main hub of your website and what most people want to be most prominently featured in search. However, link diversification rules clearly discourage a non-diversification of links in this capacity. This can result in indexing of your site that is a inch wide and a mile deep. While in some cases that might be acceptable, it is not OK from the perspective of pinging links back to your website from all around the web. Be sure to vary up your links and have them pointing to multiple parts of your website. All too many bloggers and writers do great work in the beginning stages of blog creation. They make masterful posts and get great circulation. Other blogs and websites begin to notice, and link back to them. Some writers push out quality content in the form of guest posts, and then earn even more links. And then…they stop. Complacency in the world of link building is poison. There never comes a time in which you’ve “made it” – hard work in the form of link building must occur consistently, regardless of how many previous links have been earned. This is due to the nature of the internet and its constant climate of competition. Never make the mistake of ceasing your link building efforts just because you have been successful for a period of time. 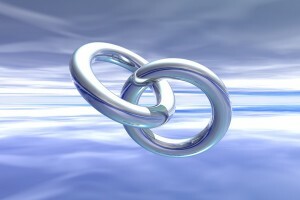 All too many webmasters and bloggers will pursue link building opportunities wherever and whenever they can find them. While this ethic can be admired, it is important to distinguish between real opportunities and wasted time. Websites and blogs that offer guest posting opportunities, for instance, may not be worth your time if the content of the website does not relate to your own subject. Natural link building efforts will only produce results if there is some relevance between the two sites. Otherwise, search engines may view the earned links with scepticism and could possibly penalize you for pinging links that appear to have been purchased. Always focus on quality links that relate to your niche, as anything else will likely produce no benefit at best. Building links is a tough, long slog. Have you had any success with link building strategies yet? What methods did you use? Let us know and share your strategies with our community.